Euro – Essentialsis a whole sale spa product provider with over a decade of experience in the field. We provide an exciting and fulfilling work environment and look for motivated and enthusiastic individuals to join our team. 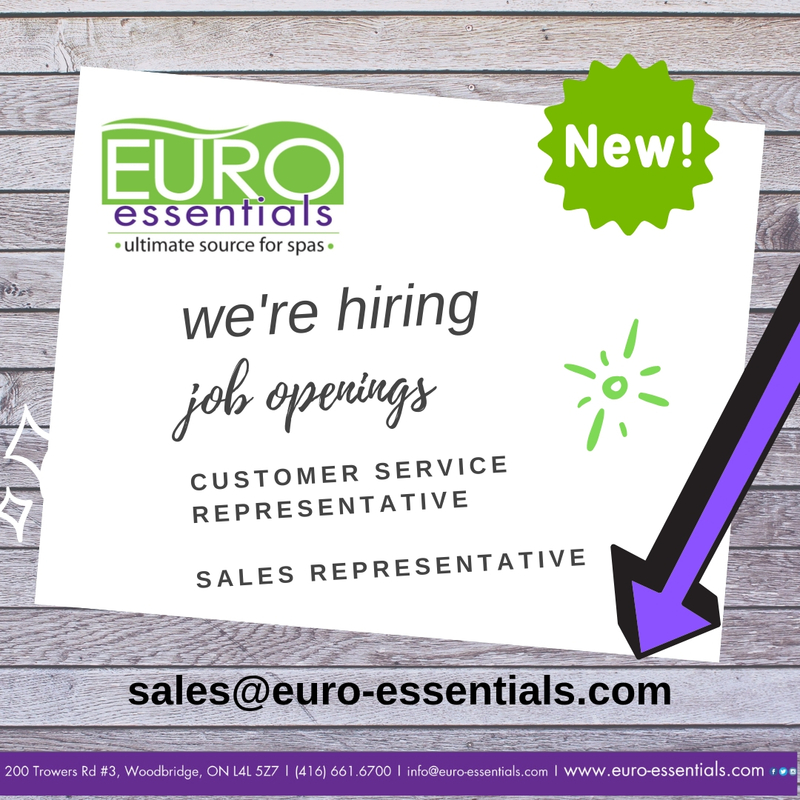 Working as a Customer Service Representative you will be responsible for handling inbound calls from existing and potential customers. You are required to assist customers in the show room in regards to product purchase and scheduling their education sessions. The primary role of this position is to exceed customers’ expectations with a superior service experience. Achieve quality service by accurately assessing and responding to customer needs, using sound judgment and flexibility when recommending appropriate options/solutions. This may entail identifying and resolving complaints, influencing to achieve a mutually satisfactory solution. Inform clients about ongoing sales and promotion. Effectively intake and process customers’ orders in timely fashion. Take initiative on learning opportunities. Participating and supporting educational events and trade shows. Checking and verifying customer information and databases. Ideally, you have two years of customer service experience (preferably in the professional salon/spa/distribution environment) . You must be self motivated, organized and have excellent time management skills. You are charismatic, self-motivated, driven by results and computer savvy. You have great communication skills along with a strong work ethic. Above all, you have a love for our industry. We thank all candidates for applying but only those that are qualified will be contacted. No agencies. Brighten Your Skin Before Summer!